Welcome to the country. A private, horse friendly, 9 acre gem located .8 miles from I-15. Property is fully fenced with a private, gated entrance. 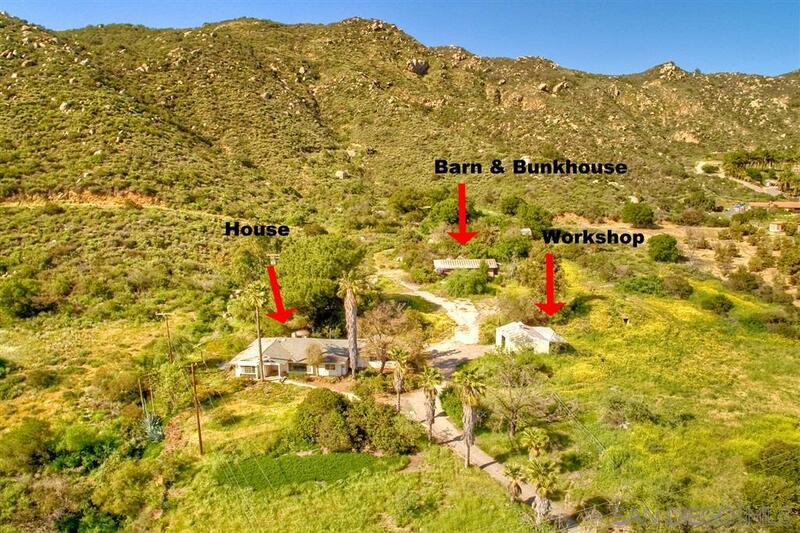 It offers a separate workshop & barn with bunk house. There is a fully functional well for irrigation & the house is connected to water at the street. The single family home needs some TLC, but has tremendous potential. Lots of parking & over 400ft of frontage. Property extends up a South facing hillside which is great for growing & agricultural possibilities.